KATHMANDU, Feb 8: The bill that legally paves way for the government to announce the local election has not been forwarded to the president's office for authentication even after a week of its passage by parliament. According to sources, the prime minister's office has requested the speaker to delay forwarding the bill to the president. Once the Bill on Local-level Elections 2017 is authenticated by the president, the government is forced to announce the date for local election. It is learned that the government has not sent the bill to the president as it is not too keen to announce the election date. However, the government, without delay, sent three other election-related bills to the president for authentication and they have already been published in the Nepal Gazette. 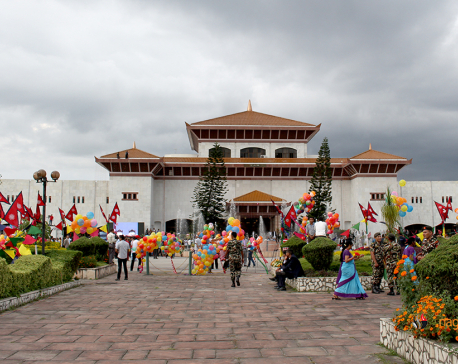 But the most-important bill that opens the door for local elections has been stalled in parliament secretariat. The bill was passed hastily from the parliament last Thursday in order to announce the local poll date. A high-level source told Republica that once the bill becomes Act, the government is forced to go to local poll. However, the bill has been languishing for a week in parliament secretariat under the pretext of editing its language and grammar. The major political parties are still undecided whether to hold the local elections under the existing setup or new setup. And the prime minister is holding off the bill until the issue is resolved. The prime minister and Speaker Onsari Gharti are said to be in unison regarding the issue. Bhanubhakta Dhakal, chief whip of the main opposition UML, said that the bill cannot be delayed in parliament secretariat forever, and should be sent for authentication at the earliest. He said that the UML will wait for a few days before pressuring the government to send the bill to the president. Dr Bharatraj Gautam, speaker of parliament secretariat, said that the bill will be sent to the president soon and the delay is due to 'some technical issues'. He further said that the bill received numerous amendments and that it is taking little longer to verify. Once the process is complete, the speaker will sign and send the bill, said Gautam.